Don't settle for subpar, boring barware. Let the pieces meet your passion. Be unique. 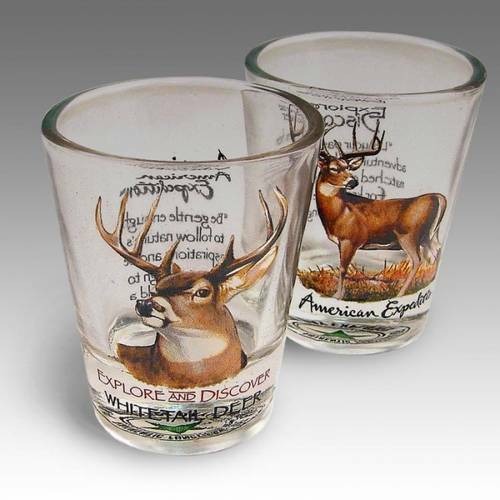 Take a look at the top 10 must-haves for the deer hunter's bar! 1. Whitetail Deer Wine Stopper - Made of solid pewter and brass, this bottle stopper features a synthetic cork and a chain and ring that attaches to the neck of the bottle. 2. Pilsner Glass Wildlife Set - Build a set with all deer, or mix and match the animals. These crystal clear glasses are made in the USA and hold 16 ounces of your favorite beverage. 3. Whitetail Deer Debossed Leather Flask - This sturdy hand-crafted stainless steel flask will hold 4 ounces of your favorite whiskey. 4. Whitetail Deer Capitol Decanter - Pour your next drink in style with this 24 ounce glass decanter. It features a fine pewter castings of deer on the bottle and lid. 5. Drinking Deer Hunter Wine Bottle Holder - This little guy wants to join in on the fun! Let him sit on your bar and be a conversation piece for years to come. 6. Antler Wine Bottle Topper - A functional accent piece for the classy outdoorsman. 7. Antler Wine Corkscrew - Replace that boring old corkscrew with this rustic one! 8. Whitetail Deer Shot Glass Set - Each glass features a full-color deer illustration on the front and an inspirational quote on the back. A one-of-a-kind set- and you can't beat the price! 9. 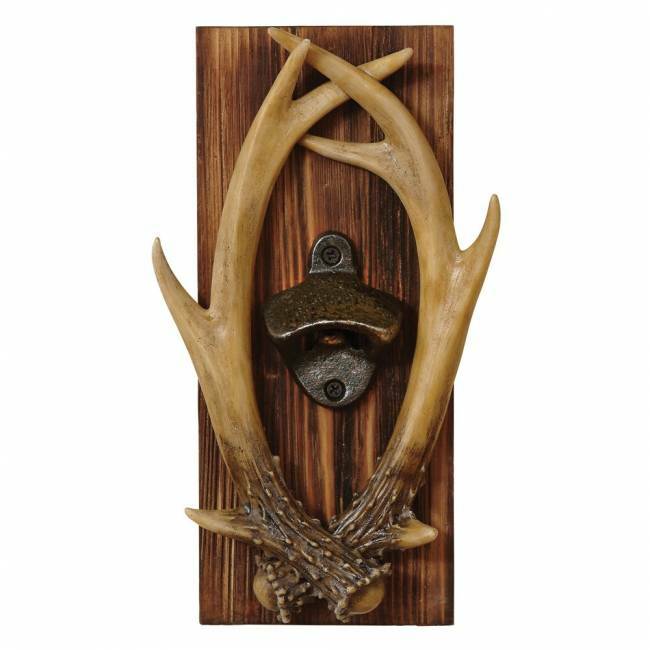 Antler Wall Bottle Opener - This rugged display features a cedar plank, a cast iron opener, and two faux antlers. Hang near the bar for the bartender's convenience! 10. Whitetail Deer Stemless Wine Glass Set - Toast the end of perfect day in the outdoors with these 16 ounce glasses adorned with deer artwork.